Details from various development projects in Bangladesh. Clockwise from top left: Onions from the Dhaka produce market. Red hot rods in a Chittagong steel factory. Greased up pipe gauges in a Chittagong oil refinery. 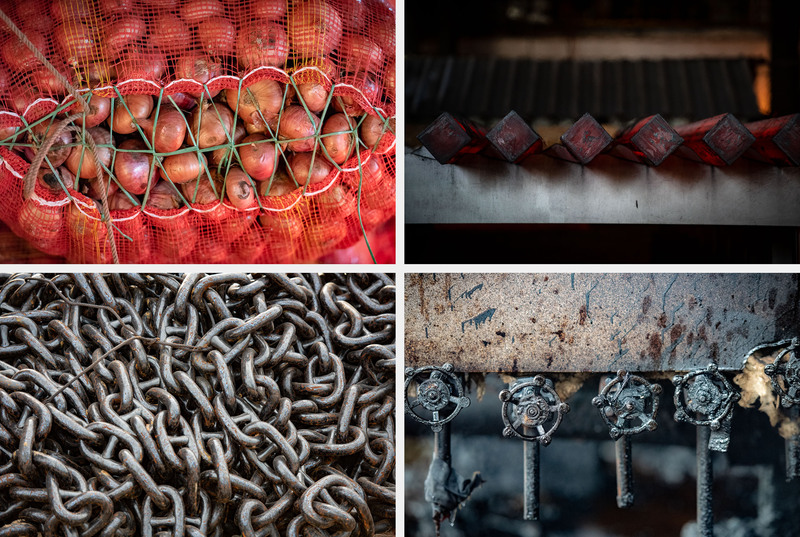 Boat chain in a Dhaka shipyard.